Оазис пробуждения - Article 3. Kinds of Samadhi. Article 3. Kinds of Samadhi. Samadhi - a spiritual condition of consciousness. There are different types of a Samadhi. Among the lowest Samadhi are a savikalpa. For a savikalp of a Samadhi there is a nirvikalpa of a samadkha, but between them a huge abyss: these are two absolutely different forms of a Samadhi. Besides, there is a state and outside a nirvikalp of a samadkha, called a sakhadzha of a Samadhi. In a savikalp of a Samadhi for the short period of time you lose all human consciousness. In this state the concept of time and space is perfect another. Within an hour or two you are in absolutely other world. There you see that almost everything is made. Here, in this world, in you and in others there are a lot more outstanding desires. Millions of desires aren't executed yet, and millions of affairs remain waiting for implementation. But when you stay in a savikalp of a samadkha, you see that practically everything is made, you have nothing to do. You - only the tool. If you are used, it is fine if isn't present, everything means is already made. But from a savikalp of a samadkha everyone has to return to usual consciousness. Even in a savikalp of a Samadhi there are various levels. As in the same school class there are brilliant pupils and bad pupils, and in a savikalp of a Samadhi some pupils reach the highest step while less directed looking for reach the lower step of a ladder where everything isn't so clear and live as at the highest level. In a savikalp of a Samadhi there are thoughts and ideas coming from various places, but they don't act on you. 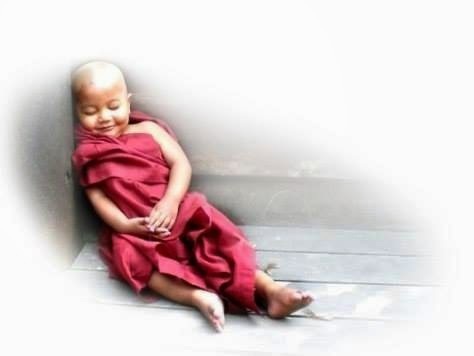 During meditation you remain are serene, and your internal essence works dynamically and surely. Savikalpa-Samadhi in a different way is called sampradzhnyata-and sabidzha-Samadhi. In savikalpa-Samadhi there are triput, or a triad: knowing, knowledge and znayemy. Sampradzhnyata-, or savikalpa-Samadhi perhaps when the ekagrata, or a consciousness one-orientation is reached. There is only a partial termination of activity of consciousness. Samskara, or impressions, don't burn down. From here the name of a sabidzh ("with a seed"). When yogin meditates on the pure and sattvichesky consciousness deprived of a radzhas and a tamasa, it reaches deep pleasure. Therefore this state is called sananda-Samadhi, or "blissful Samadhi". The yogi feels: Akham of an asma, "I am". That is why this state is called still asmita-Samadhi. But when you will be slightly higher when you become uniform with soul in a nirvikalp of a samadkha there will be no thoughts in general. I try to explain it with words, but the consciousness in a nirvikalp of a samadkha will never be able to be adequately explained or expressed. In a nirvikalp of a samadkha there is an infinite pleasure. Pleasure is not clear concept for most of people. They hear that there is something, called by pleasure, and some say that tested it, but the majority have no own idea of it. When you enter a nirvikalp of a samadkha, you not only feel pleasure, but also you become this pleasure. The third that you feel in a nirvikalp of a samadkha, it is force. All strength of all occultists gathered - anything in comparison with force which you have in a nirvikalp of a samadkha. But force which you can take from a samadkha for use on Earth, it is insignificant it is small in comparison with the whole. Nirvikalpa of a samadkha is the highest form of a samadkha which is reached by the most realized spiritual Teachers. It proceeds some hours or days, then the person has to return. What occurs when it comes back? Very often he forgets the name and age and can't speak and think properly. But by means of long practice, gradually the person becomes capable to come back from a nirvikalp of a samadkha and at once to work normally. Nirvikalpa-samadkh is a condition of absolute understanding. Knowledge and znayemy become uniform. In nirvikalpa-samadkh йогин sees without eyes, distinguishes taste without language, hears without ears, catches a smell without nose and perceives without skin. This state here is how is described: the blind drilled a pearl; the toeless involved in it a thread; besshey I put on it; and aglossus I eulogized it. Nirvikalpa-samadkh it is also known as an asampradzhnyat or nirbidzha-samadkh. Complete cessation of all mental functions is observed. From here and the name - asampradzhnyata-samadkh. This state is reached only when there is an absolute nirodkha, or management of consciousness. Samskara burn down entirely. From here and the name - a nirbidzha. Only the condition of a nirvikalpa-samadkha is capable to destroy a chain of regenerations. However the glimmer of Truth can't exempt you from the birth and death. You should be approved absolutely in nirvikaljpa-samadkh. Only then the seed of regenerations will burn down completely. When yogi reached the highest step of a nirvikalpa-Samadhi, fire of yoga burns all remains of its activity. Yogin instantly receives release already during lifetime. It finds immortality, the highest transcendental wisdom and eternal pleasure. The only sadhana for achievement of a nirvikalpa is paravaparya, or the greatest impassivity. Here yogi completely separates from a prakrita and its effects. The thinking, intelligence and feelings completely stop functioning. There is neither sounding, nor a contact, a form. All illnesses, namely: the ignorance, egoism, likes and dislikes connected with vital routine nowadays are destroyed. The Huns corresponding to objects of pleasure now completely stop the activity. Yogin reaches a kayvalya, or the highest independence, freedom. It has simultaneous knowledge or an omniscience now. The past and the future join the present. In total is "now". In total is "here". Yogin transtsendirut time and space. All grieves disappear; all sufferings stop; seeds of acts burn down; all doubts dissipate. It is eternal freedom. This state is similar to the ocean without waves. The Sakhadzha of a Samadhi is the highest type of a Samadhi. In it stays Samadhi of people in the highest condition of consciousness, but at the same time it is capable to work in the rough physical world. It holds experience of a nirvikalp of a samadkha and at the same time enters terrestrial activity. It became soul and at the same time uses a body as the perfect tool. In a sakhadzh of a Samadhi do habitual things which are done by ordinary people. But in the intimate depth of heart of people it is overflowed with divine inspiration. When someone reached a sakhadzh of a samadkha, he becomes Mister and Master Realnosti. It is possible when you wish to go to the Highest, and then to go down in terrestrial consciousness to appear. Even after achievement of the highest type of realization blessing of a sakhadzh of a Samadhi happens very seldom. Very few spiritual Teachers reached this state. For a sakhadzh of a Samadhi the infinite Favour Supreme is necessary. The Sakhadzha of a Samadhi comes only when the inseparable unity with Supreme or when someone wants to show, in rare instances, that it is reached and is Supreme. The one who reached a sakhadzh of a Samadhi and remains in this condition of a Samadhi, is conscious and in perfection claims Supreme every second, and therefore, is the greatest pride Transcendental Supreme. By means of concentration we concentrate in one point. By means of meditation we expand our consciousness in Boundlessness and we enter her consciousness. But in contemplation (Samadhi ) we turn into Boundlessness, and her consciousness becomes truly our own.